Welcome to FEI of Northeastern Wisconsin! FEI of Northeastern Wisconsin (FEI NEW) is the premier association organized exclusively for financial professionals from many different public and private industries and higher education. We offer a forum for confidential interaction among peers as well as education and training. By participating, members will gain insights into best practices and expand their learning through a variety of topics vital to our success. 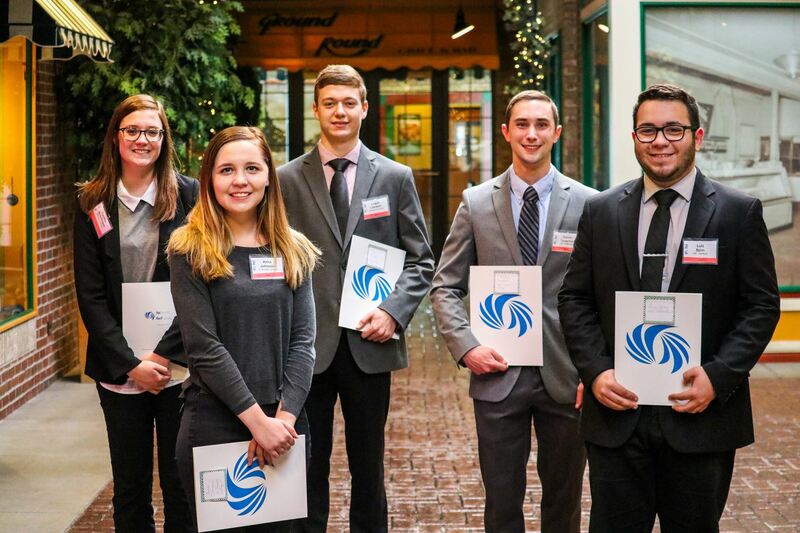 For over 15 years, the Northeastern Wisconsin Chapter has proudly supported the FEI Academic Achievement Awards, a program developed to recognize and reward the demonstrated excellence of finance and accounting students from colleges throughout the area. On April 16, 2019, five $1,000 award checks were distributed. 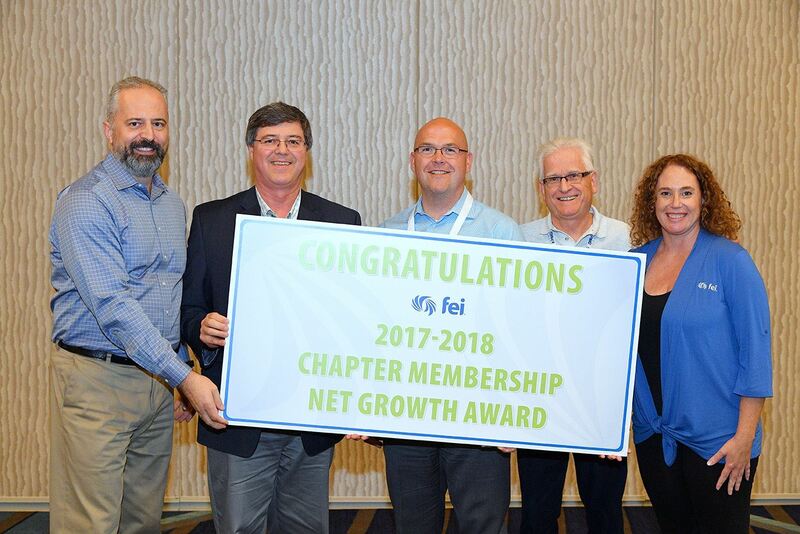 The chapter deems this annual commitment a worthy investment in the next generation of business and thought leaders who will successfully carry on the mission of FEI. 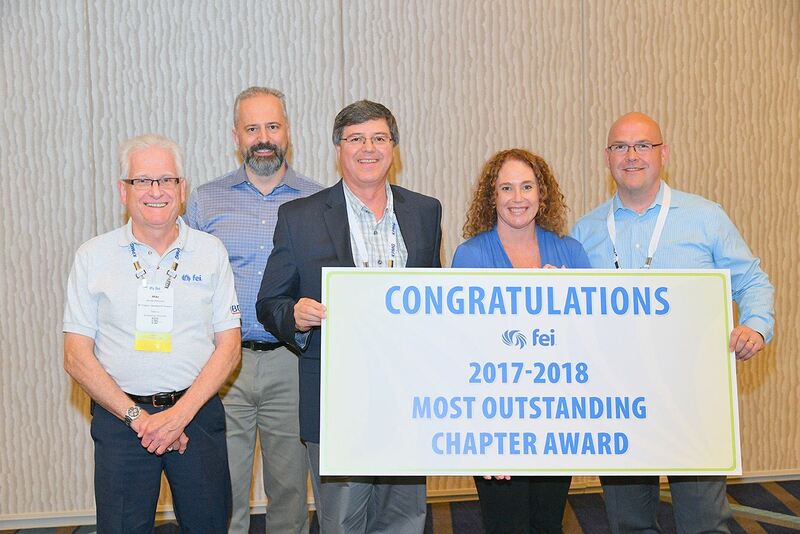 In addition to the award, these students received a digital subscription to FEI Daily, a certificate of academic excellence from FEI National President and CEO, Andrej Suskavcevic, and a standing invitation to all FY 2019-20 FEI of Northeastern Wisconsin chapter meetings and events. be a power packed program, full of high-impact keynote sessions and interactive discussions designed for financial leaders. 2019’s theme, Inspire Your Tomorrow, focuses on the critical role you have in leading the change to drive your business strategy, empower your workforce and foster a culture to shape your organizational success. Join more than 500 of your peers for learning, collaborating and building ideas for the future. 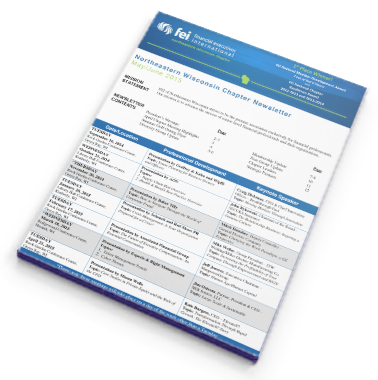 Click here to read more about the 2019 Financial Leadership Summit, view the list of featured speakers and register on the FEI National Website. 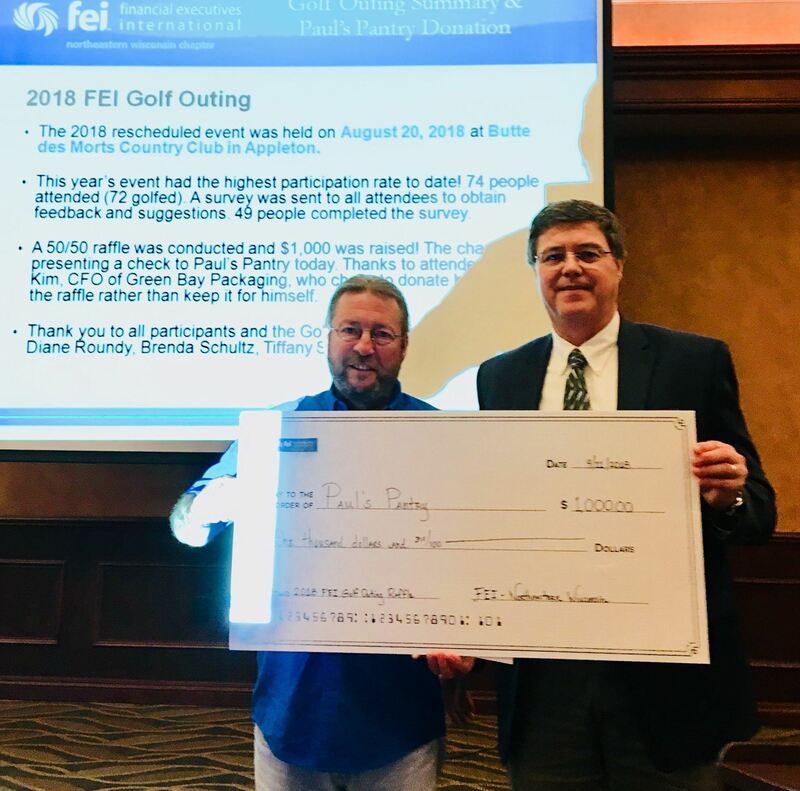 2018 Golf Outing Results in $1,000 Donation to Paul's Pantry! During the September 11th Business Meeting, FEI presented a $1,000 donation check to Paul's Pantry in Green Bay. This donation was possible as a result of the those who participated in the 50/50 raffle during the August 20th FEI Golf Outing & Social Event. A special thank you to Rob Kim, CFO at Green Bay Packaging, for donating his half of the raffle to Paul's Pantry. Additional thanks are due to the golf outing planning committee, and everyone that attended. Pictured above (left to right): Craig Robbins, Executive Director at Paul's Pantry, and Larry Barton, 2017-2018 Chapter President and CFO at Oneida Nation. The 2018 Financial Leadership Summit! Above: Mike McNamara (Membership Chair), Larry Barton (2017-2018 Chapter President), and Jim Rubright (2018-2019 Chapter President). Also pictured from FEI National are Andrej Suskavcevic (FEI CEO and President), and Christine Bell (FEI Director of Membership and Chapter Relations). 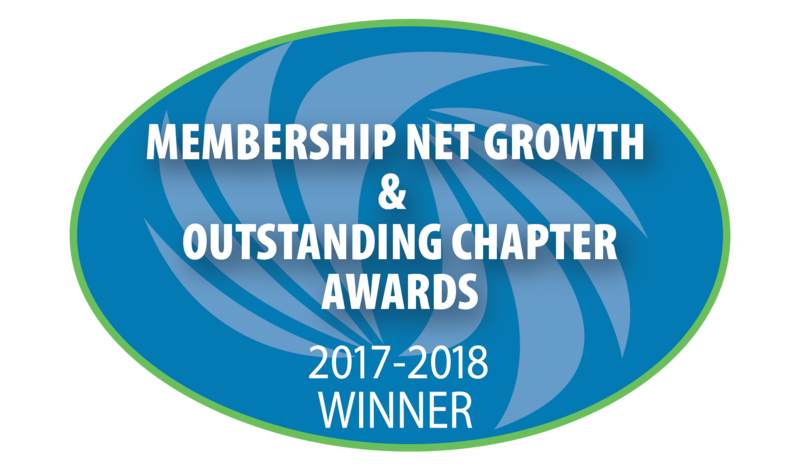 We are thrilled to announce our chapter won two awards for tier size 4 chapters (200 to 300 members) for the fiscal year ended June 30, 2018 at the annual Summit in Houston. The above awards were presented for net membership growth award and the most outstanding chapter. Click here to learn how to access your credits in five simple steps! Join our LinkedIn Page today! Click here to access all newsletters from 2015 - 2019.